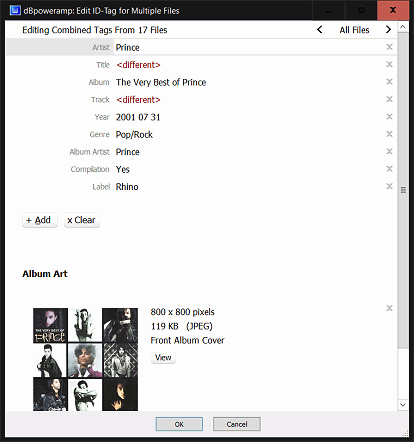 large numbers of files with 1 click, filter on mp3 or other file type, filter artist or albums. 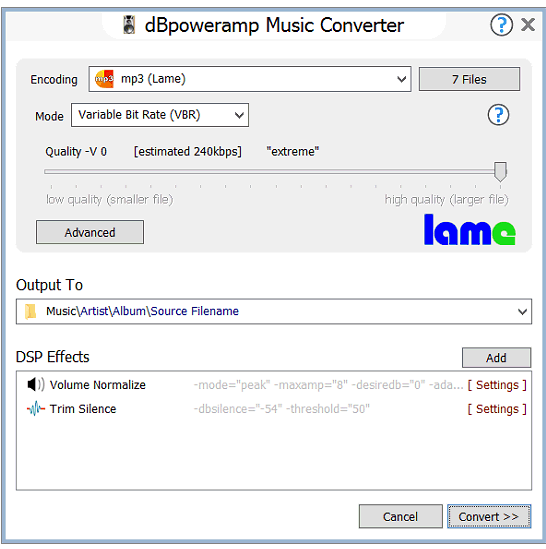 process the audio with Volume Normalize, or Sample / Bit Rate Conversion, with over 30 effects dBpoweramp is a fully featured mp3 Converter. Free converters come with a little extra (a spying toolbar, Trojan, malware, or virus), dBpoweramp has never bundled in 20 years, those wanting an mp3 converter, get just that and only that. No Trojan, no malware, no viruses. 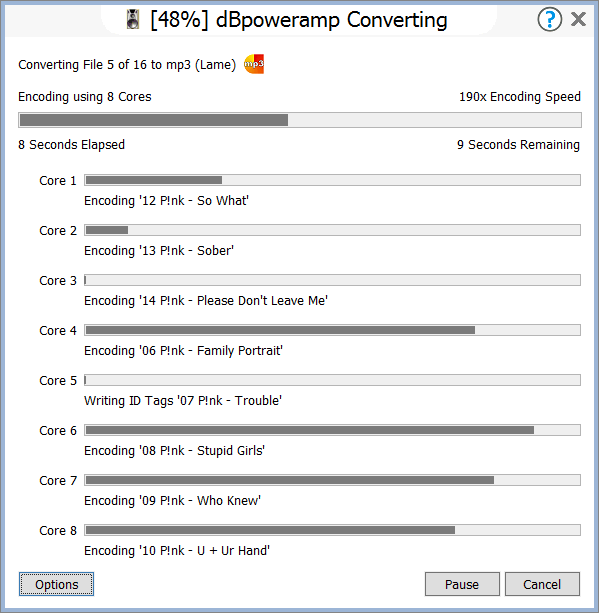 dBpoweramp integrates into Windows Explorer, an mp3 converter that is as simple as right clicking on the source file >> Convert To. Popup info tips, Edit ID-Tags are all provided. It is safe to say, no other audio program converts more multi-format audio files than dBpoweramp, we have spent 15 years perfecting format-compatibility and conversion stability. If converting FLAC to mp3, wma to mp3, or wav to mp3, dBpoweramp is the right choice. The encoder is set as mp3, fine tune mp3 options, click Convert, Job completed. Modern computers have multiple cores, a 4 core system is effectively 4 computers-in-one, dBpoweramp can encode to mp3 four times as fast. Have an 8 core CPU?, encoding to mp3 will be 8x faster. Dynamically add and remove cores whilst converting. CD Ripper dBpoweramp comes complete with CD ripping abilities, and not just any CD ripper, probably the highest regarded ripper in the world. Batch Convert imagine having a mp3 converter which could convert FLAC to mp3 with one click selecting the whole music tree? 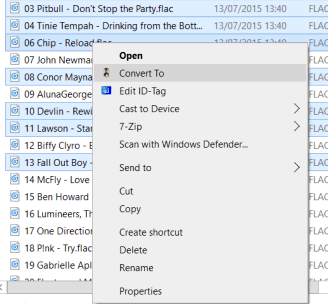 Batch Converter can, and with advanced file naming rules the converted mp3 files are named just as you want. Windows Integration: Property, Thumbnail Handlers and Shell Integration extend windows to offer tag editing inside of Windows explorer. Especially useful is the ability for dBpoweramp to add support for file types Windows does not natively support, or extend support such as mp3 IDv2.4 tags. 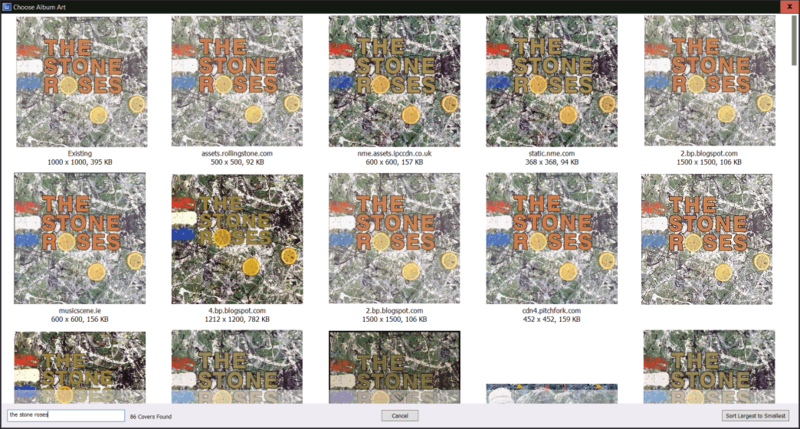 Album art display and extensive popup info tips are also provided, dBpoweramp is so much more than a simple mp3 converter. Digital Signal Processing (DSP) effects which can be applied whilst converting, many effects such as EBU R128 volume normalize, or Sample Rate conversion. Command Line Encoding & Scripting invoke dBpoweramp from the command line (Windows only), or script using the COM object.